Save money and meet your sustainability targets. It doesn’t have to be rocket science! Renewable energy and help to reduce what you use. Your business energy doesn’t have to cost the earth. More and more businesses are always looking for new ways to be more sustainable. Not only can switching to renewable energy help your company’s bottom line, but it can also help attract new clients and customers. The challenge now is how to keep costs low, cut carbon emissions and remain competitive. Thankfully, with the SaveMoneyCutCarbon and Hudson Energy partnership, you can do all three. Maintaining prices as close to market rates as possible, Hudson Energy delivers a secure and sustainable energy supply designed to boost your credentials. Here to help you save money and help you meet your sustainability targets. Providing energy for small and medium business spending less than £25,000 or using less than 250,000 kWh/year and for large businesses spending more than £25,000 or using more than 250,000 kWh/year. 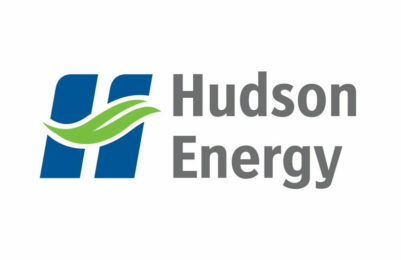 Hudson Energy is confident there will be a contract to meet your business needs. Get instant prices, fixed for your contract period. Save energy, save money – and help the environment. Hudson Energy is proud to provide renewable electricity and gas to businesses of all sizes at competitive prices. So, whether you have fewer than 100 employees and are looking for a fixed tariff, or you’re a large business searching for a flexible plan, Hudson Energy can help. We’re confident we will have a tariff to meet your business needs. Get instant prices, fixed for your contract period. Save energy, save money – and help the environment. Hudson Energy follows the UK energy market closely to ensure that the price remains competitive. Offering adaptable products that work for your business, however you operate. Hudson Energy provides you with a dedicated advisor to help you however they can, whenever you need. Offering you additional energy-related products and services designed to help you and your business to be energy-efficient and to save money. Hudson Energy provides energy that you can be proud of, and gives you renewable energy certificates to display your website and in your offices. More and more businesses are always looking for new ways to be more sustainable. 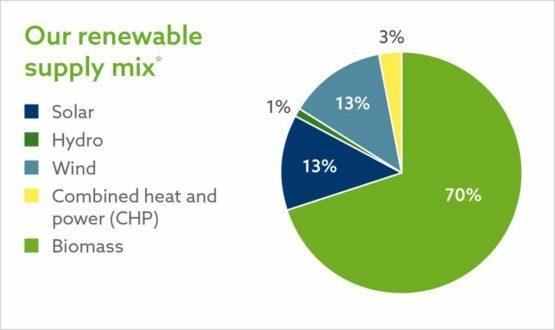 Not only can switching to renewable energy help your company’s bottom line, but it can also help attract new clients and customers. The challenge now is how to keep costs low, cut carbon emissions and remain competitive? Thankfully, with the SaveMoneyCutCarbon and Hudson Energy partnership, you can do all three. Maintaining prices as close to market rates as possible, we deliver a secure and sustainable energy supply designed to boost your credentials. Pulling power from the skies. Absorbing energy straight from the sun. Harnessing the force of water. Producing gas from natural waste. Hudson Energy is flexible in sourcing renewable energy from all technologies and locations at our customers’ request or preference. Hudson Energy sources green gas from UK-based producers through the digestion of products, residues and/or waste. The green gas is labelled electronically with a unique identifier known as a Renewable Gas Guarantee of Origin (RGGO). For each kWh of gas, this identifier contains information about where, when and how it was produced including the technology used. When consumers buy green gas the RGGO is their guarantee that the gas is authentic. Whether you are using multiple machines to run your large business, or you simply need energy to power the lights in your shop for your small business, we’ll deliver your energy in a reliable and sustainable way. With our consumption reports, learn about your energy use at multiple sites and discover ways to save on your spend. We can also find a billing solution that works for you and your portfolio’s requirements. Aside from your single point of contact, our dedicated UK-based team of energy specialists are on hand from 9am – 6pm, Monday to Friday to answer any questions that you may have. We have a broad range of energy products that can be fine-tuned to fit your budget and your needs. The energy market is a complex place and can be difficult to keep track of. So, for those energy-savvy businesses out there, we can offer a daily market report on the energy sector’s price movements and trends. For our high-demand energy customers, a wealth of information on your usage and maximum demand can be accessed through an energy management portal wherever you are, whenever you want. Choosing Hudson Energy comes with the knowledge that your renewable energy can be traced to source, backed by an energy supplier that has customers across the United States, Canada, the United Kingdom, Ireland, Germany and Japan. Hudson Energy’s Fully Fixed contract allows you to keep a close eye on your business expenses and stay competitive. Knowing that your costs are set in stone allows you to better plan your budget, freeing you from the stress of future rises in your energy prices. Whether your contract is for 12 or 36 months, the price you pay from day one will be the price you pay on the last. No compromise. Don’t worry about keeping on top of your paperwork with monthly Direct Debits payments made straight from your account. If price certainty is important to your business, the fully fixed tariff will help you plan your budget up to four years in advance. Align contract end dates at all of your sites for both gas and electricity and explore your tariff options when your term is up. Increase your supply chain resilience with guaranteed rates, safe from fluctuations in the energy market. Your energy can be traced back to the source, giving employees, customers and shareholders the peace of mind that your energy is sustainable. Electricity – Charges exclude Climate Change Levy and VAT. When incurred any reactive power and excess capacity charges will be passed through. For HH customers, there is a 20% volume tolerance clause. Gas – Charges exclude Climate Change Levy and VAT. A 20% volume tolerance clause applies. Other contracts are available, simply contact us to discuss the best fit for your business. Get quick prices, fixed for your contract period.